Superbly soft, beautifully styled, and available in four classic colors, this versatile matelasse will complement most decors. 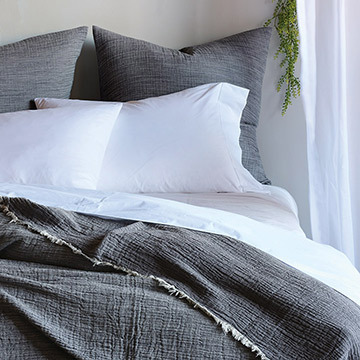 Sandrine is woven in Portugal in 100% Egyptian cotton featuring an elegant damask design that creates a sophisticated yet understated focal point. Available in coverlets and bed pillows, Sandrine's comfort and beauty is guaranteed to please. 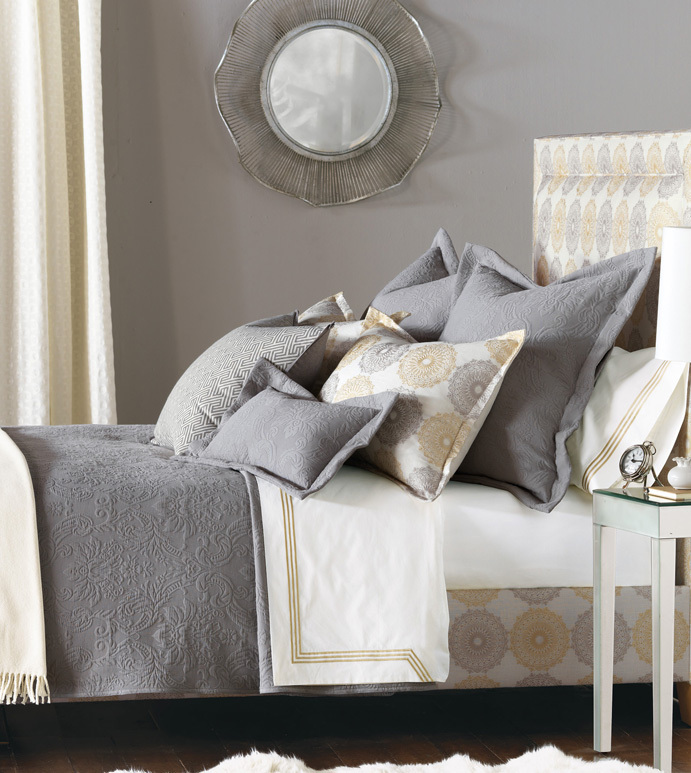 Complete the look with the Milan bed upholstered with Kittery Dusk fabric.